Like the previous year, we have found for you several posters for social media timelines dedicated to the Valentine’s Day, also we have selected excellent, icons, infografics, cards and various other graphics for personal use or for your business. Valentine’s Day Facebook Cover -3 versions -High resolution -300 DPI -RGB -easy to edit. Preview and download here. FILE FORMATS: 3 PSD files (CS3 or higher): red, purple & green. 3 JPG preview files: red, purple & green. FEATURES: 851×315 px; 72 dpi; RGB colors; Layered PSD format; Very well organized layers; Smart objects to easily replace images; Unlimited background color options. Preview and download here. A creative, lovely facebook timeline cover for your Valentine’s Day. Preview and download here. 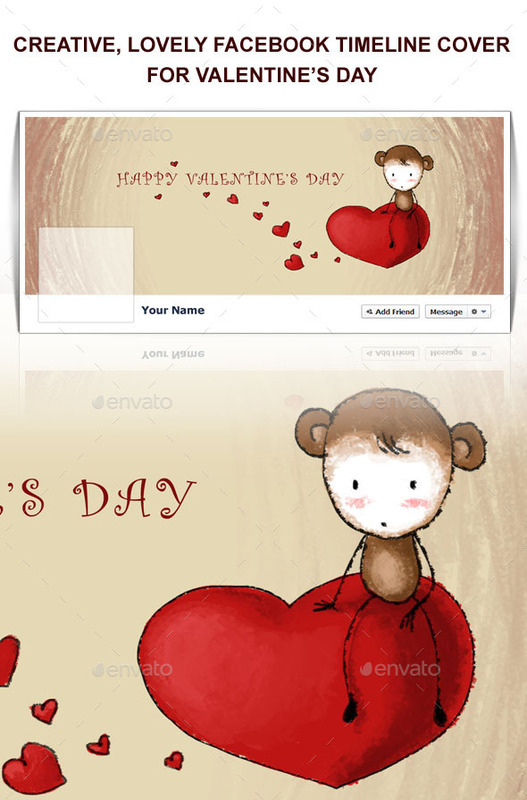 Cute Valentine’s day sale Facebook Timeline Cover. Preview and download here. 4 different designs of Facebook cover. Preview and download here. In 3 different color variations: pink, blue and yellow. Preview and download here. 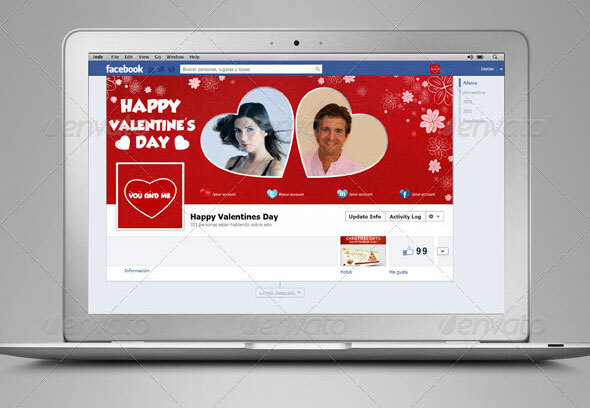 Nice presentation on your Facebook Timeline Cover for Valentine’s Day. Preview and download here. Facebook timeline for Valentine’s, easy change photos and text. Preview and download here. Facebook Cover for Valentine’s Day for business or personal use. Preview and download here. 9 Valentine’s Day badges and photo overlays collection. Designed in color and monochrome styles. Scalable vector format (you need Adobe Illustrator to edit text/color). Free fonts used (texts are Editable!) Use it for Valentine’s cards, brochures, party invitation, photo overlays, print design etc. Preview and download here. Illustrations can be used for invitations, cards, letters, confessions, posters, printing, stickers. (6 cards + 20 elements). Preview and download here. This flyer was suitable for your Valentine’s, and Romantic themes party, it’s also suitable for Valentine’s Dinner invitation or such. Preview and download here. Valentine’s (love) vector icons set. Preview and download here. Monophonic illustrations for St. Valentine’s Day. Preview and download here. This pack includes one piece of flyer with three color variants, two format files and a help file making a total of six files. Preview and download here. A set of Valentine’s banners is comes with 17 standard dimensions which also meet Google adwords banners sizes and included Facebook banners. It included all the layered psd file where you can easily change its text, color and shapes as per your requirements. Preview and download here. Boy, girl faces with hearts labels set isolated on white. Preview and download here. Valentine’s card with design elements. Preview and download here. Set of valentine’s flower cards. Greeting backgrounds for your design. Preview and download here. 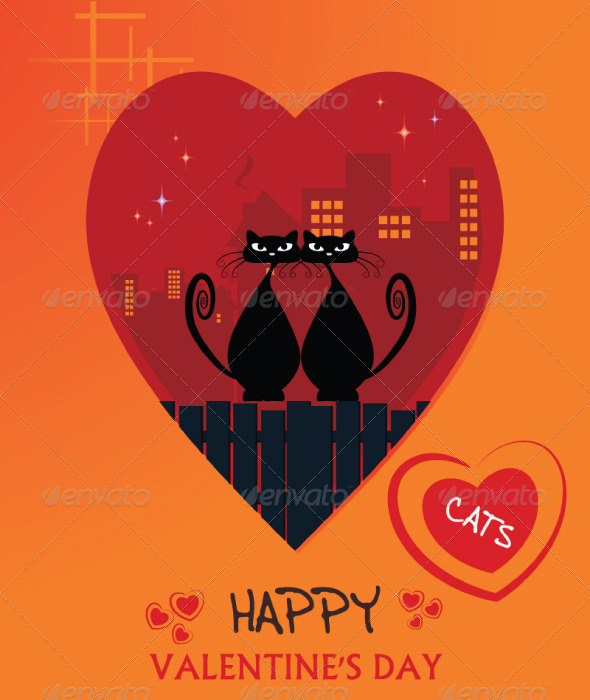 Valentine’s day card with 2 cats. Preview and download here. Valentine’s card with paper heart on ornamental background. Preview and download here.